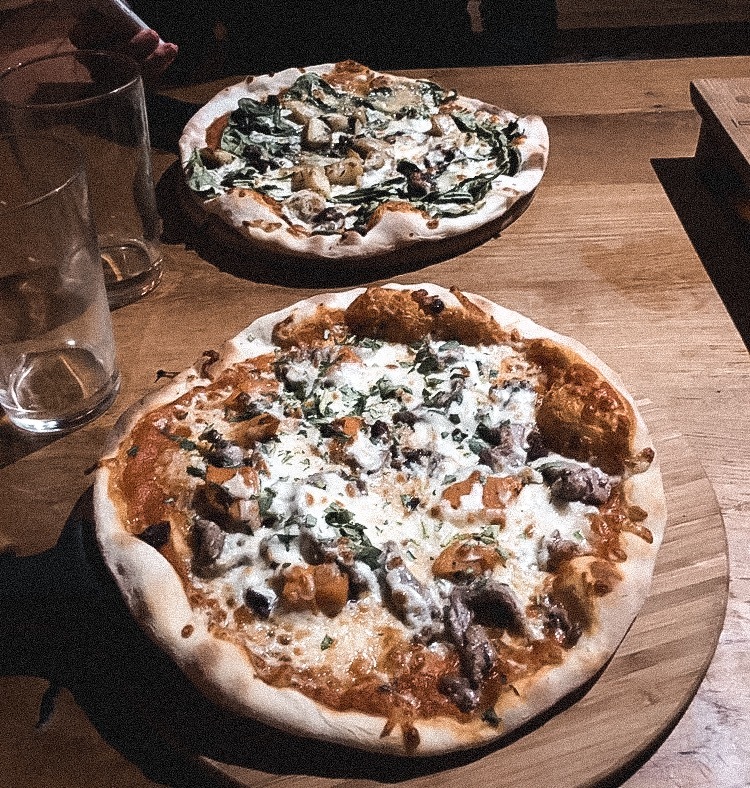 Known to host some of the most incredible ciders of the UK, The Stable is the perfect place to try some new ciders which aren’t available in your standard pub, while also having a wide range of incredible pizzas! There are 17 Stables all around the South West. I’ve been to the Bath, Exeter and Bristol branches, where they all offer different ciders and pizzas. The vibe is very relaxed, you sit on benches with other people, focusing on a warehouse type feel! The Bristol branch is located in the heart of the city on the Harbourside. Each of The Stables will have different menus, all focused on the place they’re based in. For example the Bristol branch has The Clifton Suspender, in celebration of the Suspension bridge and the Exeter branch has the Devon Pecker! You could go to each branch and have something specific to that location. They also have pies, although I’ve never tried one because their pizzas are incredible. They now offer the Pot of Gold, which I would highly recommend – it’s a pot of cider, melted cheese, rosemary and garlic, served with sourdough bread! As a South West gal, I am more than partial to a cider, so going to The Stable is a dream! They have so many different ciders you can try, whether you like something dry, medium or sparkling, you are sure to find something you like. 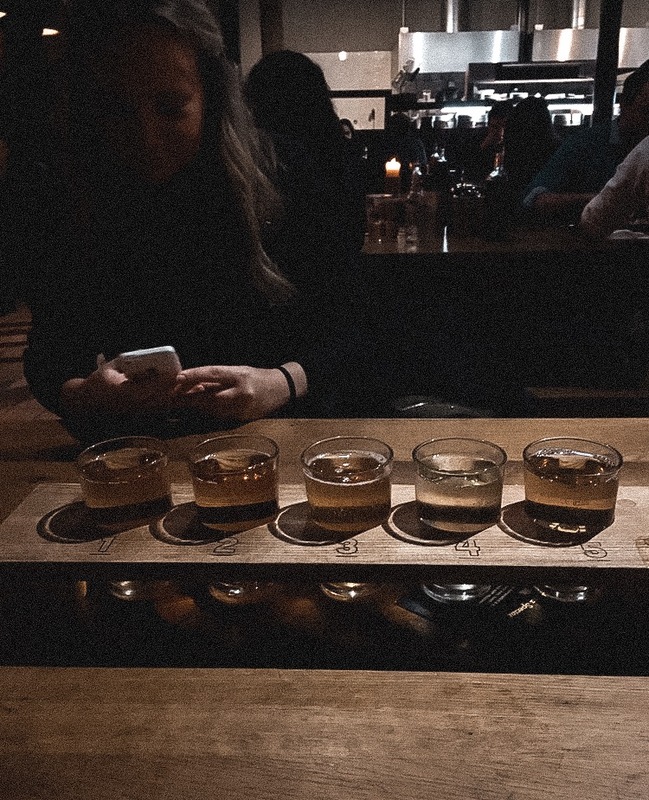 They even offer tasting cider boards, where you can get a variety of five different ciders to try from their crafted menu. I’m a big fan of Lilliey’s, they have a number of ciders, two of my favourites are the mango version and Beesting (which is 6.8%!). For Christmas my friend got me a cider experience at The Stable in Bristol as we both love cider. When we usually head out we usually just go for a Thatchers as it’s what we know, so we were excited to find out what type of cider we actually liked. They offer a few experiences, but we had the one with everything included, which lasted between two and three hours. We had our own cider expert who took us through ten ciders, from medium to medium-dry and sparkling vs. non sparkling, we both discovered what type of cider drinkers we were! 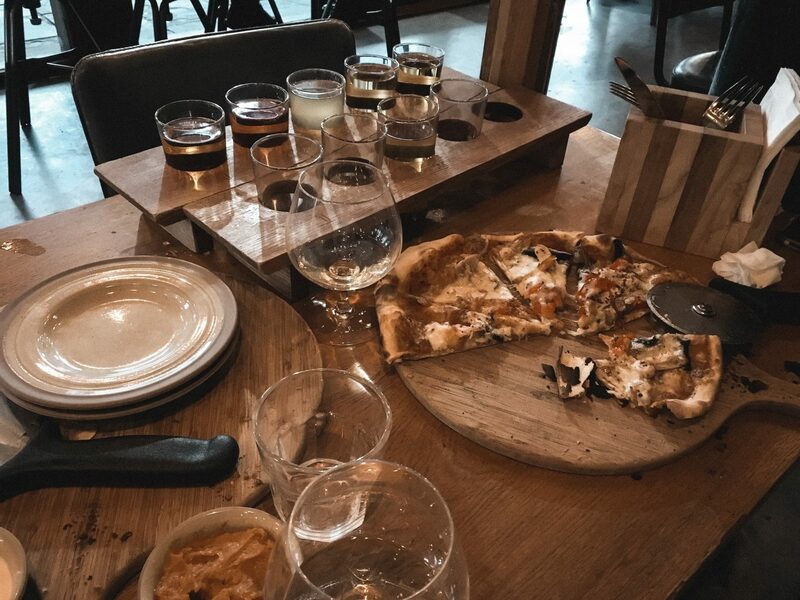 As well as the ciders included, you get a cheese board to nibble on when being talked through the ciders and a cider brandy (which wasn’t our kind of thing!). We also got a pizza each, I went for the Lamb Roast, which I think is available at all the branches! 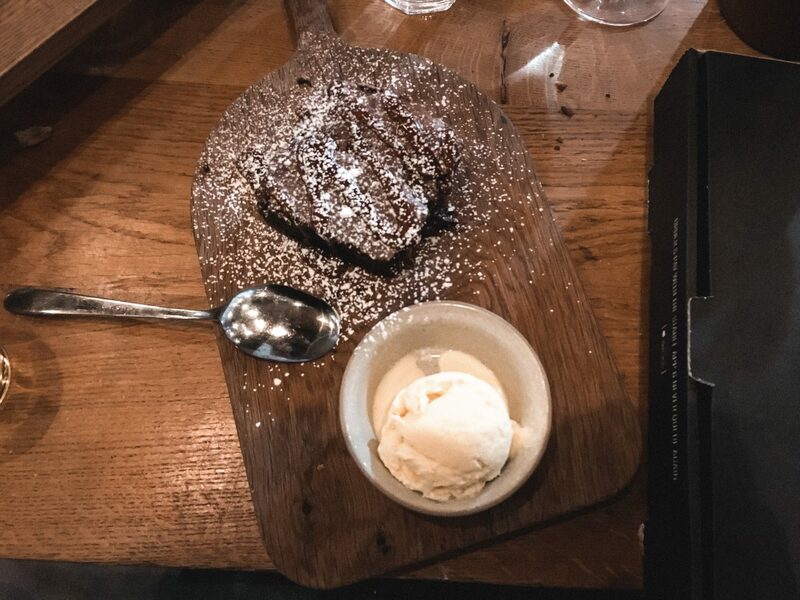 Finishing off with a warm chocolate brownie each. Not only did I enjoy drinking my favourite beverage for a few hours and eating some good pizza, it was great to learn more about cider and try brands we wouldn’t have tried before. I would highly recommend the cider experience if you’re a cider lover! I love The Stable as they have a wide selection of food, as well as an impressive selection of ciders. I’d like try a few more branches and taste their location specific pizzas! Previous Post Will I Ever Buy A House? 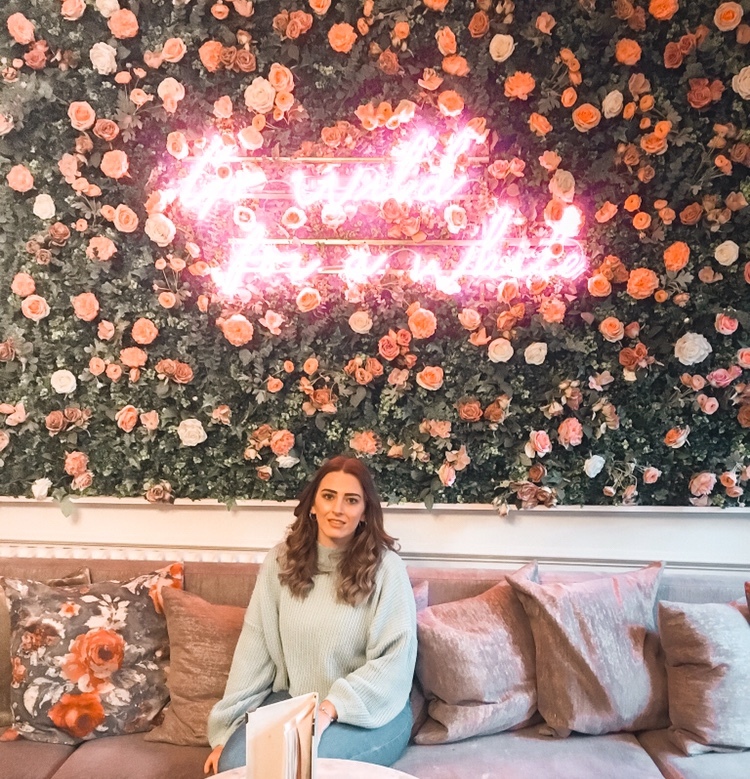 Next Post What Should I Have Done By 25?